Open netlogo/RWP_Initial.nlogo and take a look at it. How does the connectivity of this graph evolve? This class is in org.graphstream.demo.tutorial3 package in your project. 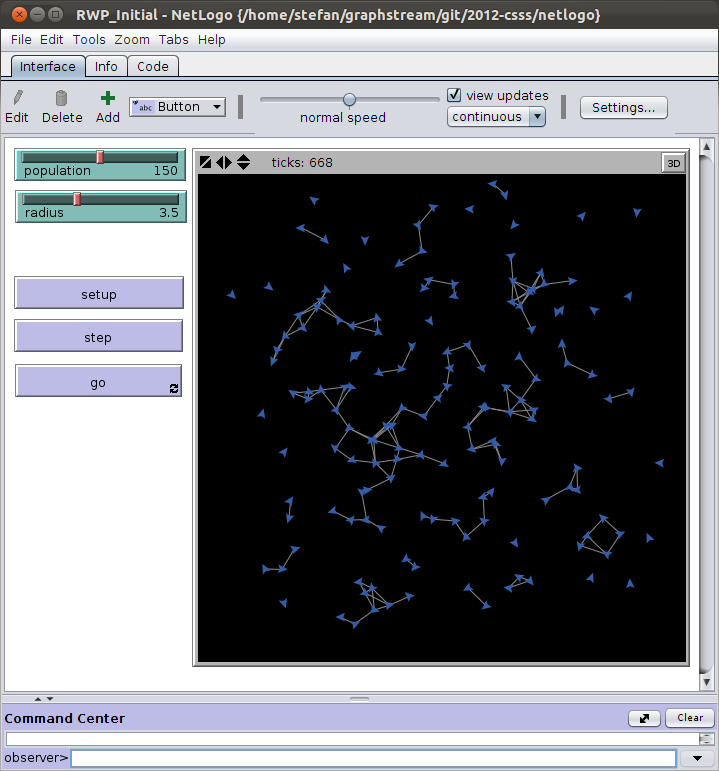 Our NetLogo simulation sends step event at each "tick"
What do we have at this point? This is cool, but let's bring the results back to NetLogo! but this time we associate this procedure to a separate button instead of calling it from setup. 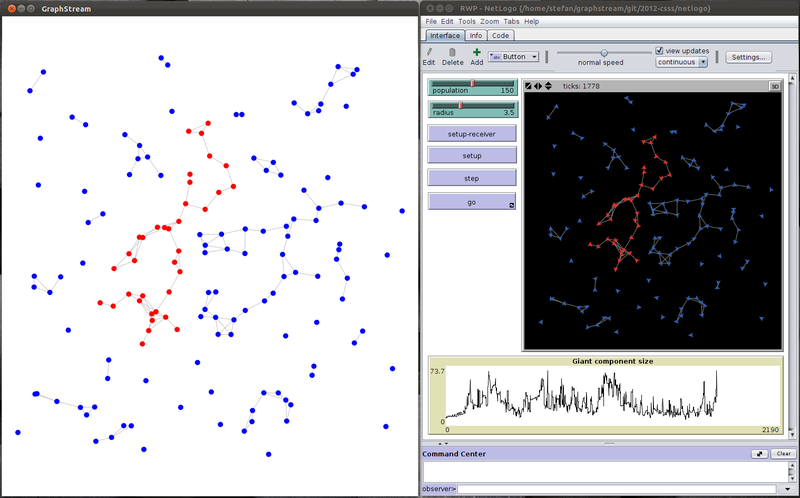 set gc-size gs:get-attribute "rcv" "gc-size"
let tmp gs:get-attribute "rcv" "giant"
Make another plot for the the connected components count.